The main reason for including a dormer is to easily increase the available headroom when undertaking a loft conversion and is a fairly straightforward procedure. They are ideal for any property where the roof space is limited, providing extra room for a multitude of uses such as an extra bedroom, office, play or TV room. 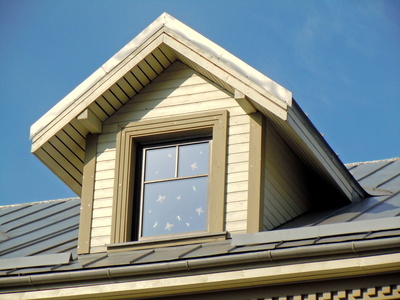 Depending on the dormer designs they can look very attractive when viewed from outside. They not only provide extra headroom from within the loft area but also admit extra natural light. Adding a dormer will allow plenty of scope for personal taste, including the type of window frame, style of window and window decoration. Of course, most people will want the style of their new structure to be in harmony with the rest of the property. The basic role of a dormer is to allow the occupants to extend the living space within the property, which will increase its value. Also, in most cases, the construction of roof dormer will not require planning permission providing certain requirements are met. These requirements are that new loft conversions must not exceed 40 cubic metres in terraced houses or 50 in semis and detached properties. Nowadays the dormer must not face the street, so it is usual to find them at the rear of properties. The new structure also must not increase the height of the roof and any materials used in its construction must be similar in appearance to the rest of the property. And where practical the dormer must be set back at least 20 centimetres from the eaves. Anyone living in a property which is listed, or which is in a conservation area, will have to apply for planning permission before constructing a roof dormer. But even then, so long as planning is granted, the roof dormers will add to the enjoyment and value of the property. A new dormer will usually need to be built when the stairs to the loft conversion are installed over the existing staircase between the ground and first floors of the property. Of course, adding windows to the front of the dormer will not only give a great view from the new loft room but will also allow in lots of natural light and, importantly, give extra ventilation into the roof. A full length flat roofed dormer fitted onto the rear facing slope of the roof can massively increase the available room in the roof which is why there are so many of these type of loft conversions dotted around the UK. But, because of the sheer size that a dormer can be, it is important to think about structures impact on the exterior of the property and not just the benefits it gives to the actual loft conversion itself. There have been some monstrously bad loft conversions done, mainly in the 1980s, that had overbearing dormers dominating the front of a property with horrible and tacky 'gladding''. A change in the permitted development laws now means that when adding a dormer to a property the structure is put on the rear facing slope of the roof. And, it has to be said, builders can now make the structural look much more visually appealing by judicious use of materials and blending it in with the current look of the property. When adding a dormer there are many different types to choose from though the flat roofed style tends to be used more often than the traditional looking gabled type dormer - mainly because it gives more roof space more easily. But let's look at all the different types of structure that you may wish to consider. Box or full width dormer designs are the most popular when it comes to loft conversions but other styles include cottage, recessed, gabled and the quirky eyebrow dormers. 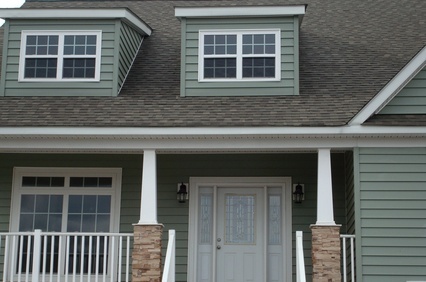 Dormers are so popular because they easily add extra headroom to a roof space that is of insufficient height to include a new room and, importantly, the new loft stairs. With most modern buildings only having a very shallow pitch to their roof dormers are necessary to ensure adequate headroom whilst at the same time allowing plenty of natural light into the roof space. But, just as every loft conversion is different, there are many options when it comes to choosing the dormer loft conversion ideas for your loft conversion. This kind of dormer design or construction, as the name suggests, extends right across the full width of the rear side of the roof. They are extremely roomy but can overwhelm the rest of the property. The easiest full width dormers to construct are on terraced houses from party wall to party wall. When adding a dormer to a home these are by far the most common of the different dormers that can be seen on skylines right across the UK. They are liked by both home owners and builders alike because they are cheap and relatively easy to construct. Flat roofed they are typically built slightly set back from the front edge of the roof they allow plenty of headroom. The traditional and for many the acceptable face of dormers! They look far nicer than their bigger and uglier box and full width brothers but, unfortunately, they don’t really add much headroom. More aesthetically pleasing than practical in most cases they are best suited to older properties that already have a large roof space. Basically an inside out construction that is rarely encountered as they add nothing in terms of space or headroom. It is hard to think of any reason why anyone would possibly include this type of structure in their planning. Used in the majority of cottage dormers a gable dormer design is typically small in size. A hipped dormer is similar but of course has a hipped front slope.The traditional and nicer looking way of adding a dormer in days gone by. Strangely eye shaped these kind of dormers were often used in properties with thatched roofs. They can be incorporated in other properties but their curved shaped means eyebrow dormers are difficult to design and install. From all the above options it is fair to say that when adding a dormer the majority of those suitable for modern properties will be the flat roofed box shapes though others such as the traditional gabled version do have their place.